We are a leading Manufacturer of semi automatic shrink wrapping machine, automatic shrink wrapping machine and fully automatic shrink wrapping machine from Rajkot, India. Backed by the team of experienced professionals, we are providing an extensive array of Semi Automatic Shrink Wrapping Machine. 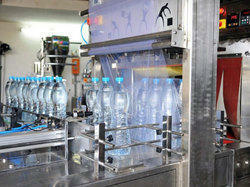 Our provided wrapping machine is used for packing shrink bags & valued in the market for its performance. This wrapping machine is developed using finest material and sophisticated technology. Clients can avail this wrapping machine in varied specifications for fulfill their varied need. With the assistance of our professionals, we have been able to manufacture, export, trade, and supply a wide range of Automatic Shrink Wrapping Machine. This wrapping machine is developed using optimum quality components and advanced methodology. Also, our offered wrapping machine is highly appreciated by our customers for its optimum finish. 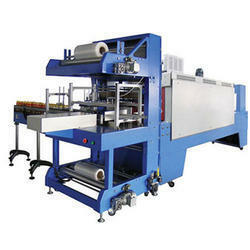 Offered wrapping machine is available in the market in varied specifications. With our rich industry experience and knowledge, we are engaged in offering Fully Automatic Shrink Wrapping Machine. The offered wrapping machine is developed using high grade material and leading technology in compliance with the international quality norms. 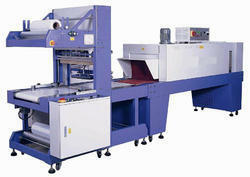 Additionally, the offered wrapping machine is acclaimed for its long functional life. Our customers can easily avail this wrapping machine in numerous specifications as per their needs.